Yoga is a skill that can last a lifetime and if you do not know much about yoga, you can learn the skill at Starlim India. Yoga Course for Beginners in Rishikesh offered by Starlim India which is meant for those of you who wish to understand what yoga is all about. Yoga for beginners is a totally different course where anyone who has no knowledge or just has basic knowledge of yoga can develop the skill at Mahatma Yoga Ashram in Rishikesh. As a beginner you can be rest assured that you will be given the time and support that you require to grasp all those aspects of yoga that will help you to begin your yoga journey. You will be taught by experienced yoga instructors who can give you good insights about this ancient science. What to Expect from the Yoga Courses for Beginners? Starlim India partners with Mahatma Yoga Ashram for the Yoga Beginners Course in India. Yoga course for beginners is conducted as professionally as any other yoga course we conduct. As a beginner you will learn asana, meditation, pranayama, chanting, relaxation techniques, etc. which are practices that will work to bring a balance in your body, mind and soul. We teach traditional hatha yoga and we focus on both yoga practice and some theory. The Yoga Beginners Course has been structured to teach you the basic asana and pranayama (breath control). When learnt from a professional teacher yoga can open up your body and mind to new experiences that will enable you to lead to inner transformation in you as a person. Yoga Course for Beginners in India is also meant for those yoga aspirants who wish to make yoga a part of their daily lives. Yoga, as you know is not just a physical practice but also teaches you pranayama and meditation. The combination of these practices can help you to release toxins from your body and start your healing process. Continuous yoga practice is a gift to yourself as you will definitely feel much more energetic and mentally quick and relaxed. Yoga will keep your body healthy and agile and will open your mind to new ways of thinking. Starlim India provides an overall experience for beginner yoga learners so you can benefit from their yoga learning and continue your journey towards a deeper and more thorough understanding of yoga and become a professional. Our one week Yoga Meditation Courses for Beginners in Rishikesh are run throughout the year. To reserve your seat, please send us your joining date & duration of stay and after that you need to pay 20% of the fee as non-refundable deposit. We have combined yoga courses for beginners and yoga retreat into one program. » Couples can get 10% markdown by sharing a room. » Duration of everyday yoga classes can be expanded whenever required. » Daily calendar is liable to change depending upon climate conditions. » Yoga classes are held from Monday to Saturday. Outside exercises are sorted out on Sundays. » One can also attend "Yoga Philosophy" classes during our yoga teacher training or intensive yoga programs. » Management claims all authority to change day by day plans depending upon climate conditions and so on. 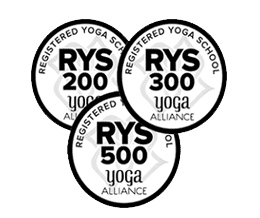 » Yoga training at one of the best yoga schools & ashrams in India registered with Yoga Alliance (USA). » An intensive yoga training program taught by certified yoga teachers. » Residential facility with modern infrastructure and amidst ashram surroundings. » Complimentary river rafting, trekking and local sightseeing. » Inexpensive yoga retreats ($ 350 USD for one week, $ 700 USD for two weeks including Vegetarian meals and accommodation (private room with attached bathroom and Wi-Fi). » Optionals: Delhi airport to Rishikesh by car ($ 70 USD).